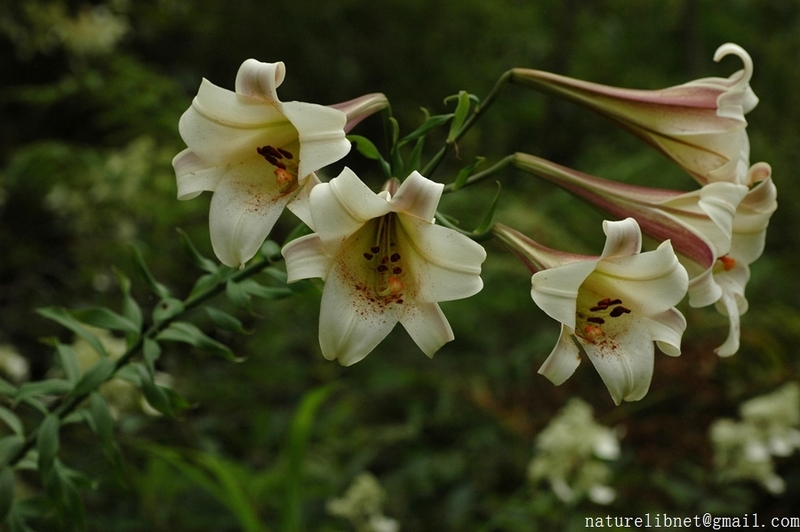 Synonyms: Lilium australe Stapf; L. brownii var. australe (Stapf) Stearn. Distribution: Sparse forests, thickets, grassy slopes, rocky hillsides along ravines or streams,wastelands around villages; 100–2200 m. Anhui, Fujian, Gansu, Guangdong, Guangxi, Guizhou, Hebei, Henan, Hubei, Hunan, Jiangsu, Jiangxi, Shaanxi, Shanxi, Sichuan, Yunnan, Zhejiang.